Aashish grew up around Delhi, in Noida and Faridabad. 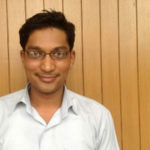 He completed an integrated masters in Development Studies from the Indian Institute of Technology Madras, and before starting work for rice, was a Research Assistant at the Department of Economics at the University of Allahabad, working on issues related to human development and social security in India. He is interested in social and health policy, as well as in research and action.